The first book in this series was one of the best YA books I read last year. In The Way We Fall, Kaelyn's island is hit by a plague which devastates them and makes basic survival very difficult. Kaelyn survived her bout with the plague and gives her all into keeping the island running for other survivors. In this sequel, Kaelyn and her friends go to bring important information to the scientists on the mainland who are trying to fight this plague. They have lost contact with everyone on the mainland, including Kaelyn's older brother, and have no idea how bad things have gotten until Kaelyn's estranged best friend, Leo, makes his way back from New York bearing bad news. The friends set off on a road trip to save the world- but things never go as smoothly as they need it to. 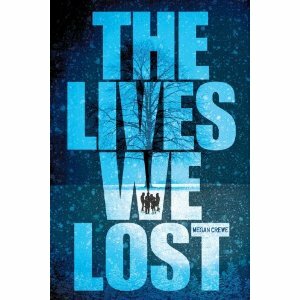 Desparate people, gangs, competing interests, and their own teenage drama work against them. Kaelyn has some serious ethical dilemmas. But somehow it is her hope and determination that binds the group together through their journey. I think this proves that Crewe is not suffering from sophomore slump- the pacing in this book is better and she delves deeper into the psyche of her protagonist. I really enjoyed that this one seemed more Canadian than the previous one as they drove across the Maritimes and Eastern Canada. The only bone I could pick in this one was the fledgling love triangle- something I really hate in YA books. But since that didn't overpower the interesting plot and other human drama, it didn't take away from my enjoyment of this book. International Book Giving Day: Giveaway!